Welcome to the U.S. National Parks – This site is dedicated to providing information on all U.S. National Parks It is our intent to provide information that will be timely and of assistance in planning a trip, vacation or obtaining data about a park. National Park Service – “Ancient Architects of the Mississippi” The National Park Service is steward of a diverse cultural legacy. From the cliff dwellings of the Southwest to the reminiscences of neighborhood residents where Martin Luther King, Jr. grew up, this legacy represents a continuum of American heritage–its places, objects, and traditions. The NPS archeology and ethnography program provides national leadership, coordination, and technical guidance to aid in preserving this heritage. Wisconsin Electronic Reader – A cooperative digital imaging project of the University of Wisconsin-Madison General Library System and the State Historical Society of Wisconsin. Outline of Prehistory and History – In the Southeastern U.S. and Caribbean Culture Area with Reference to Relevant National Park Units in the Southeast Region. Oakville Indian Mounds Museum & Park – Located on County Road, in Lawrence County in Danville, Alabama “View the historical marker erected 1999 by the Lawrence County Historical Commission, under the auspices of President Virginia Walker and Board Chairman Ben Lee. Online Highways – Online Highways’ interactive American History project. A team of researchers is developing site that will present U.S. history in the context of present day travel. exciting panorama of Southeastern Native American culture, history and art. Indian Mound and Museum ~ Florence, Alabama – This is one of the largest domiciliary Indian mounds in the Tennessee Valley. The pre-Columbian mound measures 43 feet high with a summit that is 145 feet by 94 feet. Chattahoochee Indian Heritage Center ~ Fort Mitchell, Alabama – Located in Fort Mitchell County Park, this center details the culture and history of the Indians who inhabited the valley. Welcome to Moundville Archaeological Park – Maps, Tours, and Directions – Experience the wonder of this Mississippian Native American city. Moundville Alabama is located 14 miles south of Tuscaloosa, Alabama, on Highway 69 South. From Highway I-20/59 take exit 71A and proceed 13 miles south. The park entrance will be located on your right on Highway 69. Indian Village at Moundville Archaeological Park – Provides an opportunity to look into the past lifeways of the prehistoric Mississippian people. 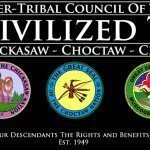 The Moundville Native American Festival – A celebration of Southeastern Indian life and culture. 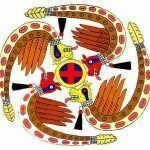 INUSA Tour Guide: Moundville Archaeological Park ~*~ Moundville, Alabama – Moundville Archaeological Park overlooks the Black Warrior River. A National Historic Landmark, the 320-acre park preserves 26 pre-historic, Mississippian-era Indian mounds. dating back to times when native American Indians laid claim to Alabama. Aurora Borealis- No description can describe the splendor or the magnificence of the natural phenomenon known as the Northern Lights or Aurora Borealis. The Northern lights have been described in ancient times by the Eskimos, American Indians, world explorers and even mentioned in the Old Testament. Totem Bight State Park, Ketchikan Alaska – A Tlingit myth tells that the people were inspired to carve totem poles after finding a carved log washed up on the beach. The Haida tell of a master carver who created a house front and several poles overnight and then taught the villagers how to carve. The National Park Service~Prehistory of Alaska – There are 15 National Parks and Preserves in Alaska. Canyon de Chelly National Monument ~ Arizona – The name De Chelly is a Spanish corruption of the Navajo word “Tsegi,” which means roughly “rock canyon. These awesome canyons sheltered prehistoric Pueblo Indians for 1,000 years and served as an ancestral stronghold of the Navajo Indians. The Roosevelt Platform Mound Study – An eight-year archaeological project conducted in the vicinity of Theodore Roosevelt Lake, Tonto Basin, Arizona. The research was carried out by the ASU Department of Anthropology, Office of Cultural Resource Management for the Bureau of Reclamation under a permit from the Tonto National Forest. Rainbow Bridge National Monument – Rainbow Bridge is the world’s largest natural bridge. The span has undoubtedly inspired people throughout time–from the neighboring American Indian tribes who consider Rainbow Bridge sacred, to the 300,000 people from around the world who visit it each year. Please visit Rainbow Bridge in a spirit that honors and respects the cultures to whom it is sacred. While Rainbow Bridge is a separate unit of the National Park Service, it is proximate to and administered by Glen Canyon National Recreation Area. For additional information about services and facilities connected with Rainbow Bridge, visit Glen Canyon NRA’s Home Page. The Center for Advanced Spatial Technologies – CAST was established at the University of Arkansas in September of 1991. Ancient Monuments in Arkansas ~*~ – Toltec Mounds – Toltec Mounds Archeological State Park is located just thirty minutes from downtown Little Rock in the midst of the Arkansas River Valley farmlands. This traditional Woodland to Mississippian site was occupied from approximately A.D. 700-950. Toltec Mounds State Park Arkansas State Parks – Toltec Mounds is one of the largest and most complex sites in the Lower Mississippi Valley. Rock Art In Arkansas – Arkansas possesses one of the richest concentrations of rock art in eastern North America. Human, animal, geometric, and abstract motifs are rendered in carved and pecked (petroglyph), painted (pictograph), and combination styles. These images provide fascinating glimpses of the world as viewed by Arkansas former inhabitants. Santa Monica Mountains ‘National Recreational Area’ – For many years the Santa Monica Mountains sustained the Chumash and Gabrielino/Tongva cultures. Sycamore Canyon, which cuts through Rancho Sierra Vista/Satwiwa and Point Mugu State Park, was part of a Chumash trade route. Satwiwa, which means “the bluffs”, was the name of a nearby Chumash village. To reflect this heritage, a portion of Rancho Sierra Vista/Satwiwa is the Satwiwa Native American Indian Natural Area. The National Park Service, in cooperation with the Friends of Satwiwa and UCLA have designed a culture center. A Native American Indian guest host or an NPS ranger is on hand to answer questions on Sundays from 10am to 5pm. California Parks – from the National Park Service. Lake Jackson Mounds State Archaeological Site, Florida – The site was once a large ceremonial center dating back to the Fort Walton period of Florida’s history (1000 A.D.-1450 A.D.). Recent studies contributed greatly to increasing our understanding of the Indians of that period. Ocmulgee National Monument ~ Macon, Georgia – The Monument today consists of two units separated by two miles of riverine wetlands along the Ocmulgee River. The Main Unit is adjacent to the city of Macon, an urban area with a population of 118,000. The isolated Lamar Mounds and Village Unit can be visited by special permit. 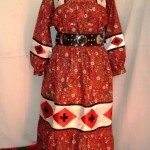 Stolen Native American Artifacts – Thought to be in Florida or Georgia. 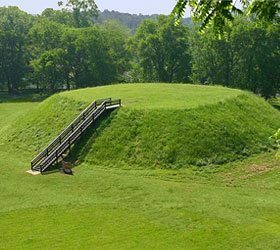 Kolomoki Mounds State Historic Park Blakely, GA – Kolomoki Mounds State Historic Park is an important archaeological site as well as a scenic recreational area. The seven earthen mounds within the park were built between 200 and 600 AD by the Swift Creek and Weeden Island Indians. The Nacoochee Valley Indian Mound – White County – The Nacoochee Mound is a burial site, the graves were probability placed there long before the Cherokee Tribe inhabited the area. Chief Vann House – State Historic Site – Called the “Showplace of the Cherokee Nation,” this two-story classic brick mansion was built by Chief James Vann in 1804. Decorated with beautiful Cherokee hand carvings done in natural colors of blue, red, green and yellow, the home features a cantilevered stairway and many fine antiques. Cahokia Mound Site ‘Ancient Topography’ Illinois State Museum – The Cahokia site is located in Collinsville, Illinois, and represents the most sophisticated prehistoric Native American society north of Mexico. Cahokia Mounds Historic Site, Collinsville, Illinois – Cahokia (translated “wild geese”) derives its name from the Cahokia Indian tribe, who were members of the Illini Confederation. With their close relatives, the Tamaroas, the tribes inhabited a wooded strip of land near the Mississippi River. They gathered there in the summer for their councils, and in the winter they ranged the prairies on hunts. An early missionary at Cahokia recorded the size of the Indian village as ninety “cabins,” probably lodges that housed extended families. years ago, and it was continuously inhabited through the Hopewell period, ca. 100 B.C. to A.D. 250. Villagers lived within the bounds of the present historic site, and they built burial mounds along the bluffs above the river. Unfortunately, the mounds have been destroyed. SIUE Cahokia Mounds Web Site ~ Collinsville, Illinois – Brought to you by Contract Archaeology of Southern Illinois University Edwardsville. This site’s purpose is to become the definitive source and repository of on-line information, virtual reality, photo albums, and discussion regarding the prehistoric Mississippian cultural center at Illinois’ Cahokia Mounds State Historic Site. Cahokia Mounds ~ Collinsville, Illinois – Historical indian city with interpretive center. Official Site for Cahokia Mounds State Historic Site Collinsville, Illinois – Cahokia Mounds State Historic Site, administered by the Illinois Historic Preservation Agency, is just eight miles from downtown St. Louis (Missouri) near Collinsville, Illinois, off Interstates 55-70 and 255, and Illinois 111, on Collinsville road. It is open Wednesday through Sunday free of charge, although a donation of $2 for adults and $1 for children is suggested. Angel Mounds State Historic Site – For over a thousand years, Southwestern Indiana was home to many Native Americans. Today, Angel Mounds State Historic Site is nationally recognized as one of the best preserved prehistoric Native American sites in the United States. Friends of the Angel Mounds – W. Brooks Martin, Executive Director – Friends of Angel Mounds is a not-for-profit, community organization created to promote development of and interest in Angel Mounds State Historic Site as an educational and historical facility. Effigy Mounds National Monument – Established to preserve the earth mounds found in northeastern Iowa. Within the monument’s borders are 191 known prehistoric mounds, 29 in the form of bear and bird effigies and the remainder conical or linear shaped. Located five miles north of McGregor and three miles north of Marquette, Iowa on Iowa State Highway 76. 1. Effigy Mounds National Monument. 2. Blood Run National Historic Landmark. 3. Toolesboro Indian Mounds National Historic Landmark. Cherokee Trail Of Tears Park – Located In Hopkinsville. KY – This historic park is one of the few documented sites of actual trail and campsites used during the forced removal of the Cherokee people to “Indian Territory”. It was used as an encampment in 1838 and 1839. This park is the burial site for two Cherokee Chiefs who died during the removal – Fly Smith and Whitepath. This long, cruel relocation has become known as the “Trail Of Tears” and by Native Americans as “The Trail Where They Cried”. Every year on the first full weekend of September, the Trail Of Tears Commission sponsors an intertribal Pow Wow at the park. is to identify, preserve, and protect the cultural resources of Kentucky. Kentucky Archaeological Survey – The Survey’s mission is to provide a service to other state agencies, to work with private landowners to protect archaeological sites, and to educate the public about Kentucky’s rich archaeological heritage. How Much Do You Know About Kentucky’s Native People? Wickliffe Mounds Research Center – Kentucky site offers tours of these historic aboriginal mounds and the excavations associated with them. Wickliffe Mounds Research Center is located at 94 Green Street, Highway 51/60/62 in Wickliffe, Kentucky. Mammoth Cave National Park – Archaeology at Mammoth Cave – ‘Paleoindians ‘ – Over 12,000 years ago, when huge sheets of thick glacial ice covered large portions of the North American continent, small nomadic groups of people wandered over the Kentucky landscape. Today, archeologists refer to these early American people as PaleoIndians, which means “ancient Indians.” However, we know very little about them. MN, near the South Dakota border. Within the monument, there are pipestone (Catlinite) quarries, native tallgrass prairie, quartzite bluffs, and a creek with a waterfall. The first act to establish the monument was approved on August 25, 1937 with approximately 116 acres of land. cultural demonstrations of pipemaking, as well as small craft and beadworking. This craftwork and select books are sold within the cultural center. Grand Mound – On Minn. Hwy. 11, 17 miles west of International Falls. Pipestone National Monument – Pipestone, MN, near the South Dakota border. Memories Made Here ~ Visit our State Historic Sites! The Grand Village of the Natchez Indians – A National Historic Landmark administered by the Mississippi Department of Archives and History in Natchez, Mississippi. The site was the main ceremonial mound center for the Natchez Indian tribe during the French colonial period in the Natchez area (1682 – 1730). Today, the Natchez Indians are known through archaeology and through the wealth of colonial documents written by French priests, explorers, merchants, and military personnel. Chief Plenty Coups’ Park ~ Pryor, Montana – Provides interpretation of Plenty Coups’ life and the Crow Tribe’s history. Park Includes Plenty Coups’ home, store, tipi, modern museum, and grounds for walking and picnicking. 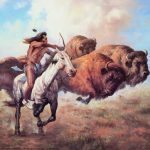 Chief Plenty Coups State Park – Montana Fish, Wildlife & Parks – Situated within the Crow Reservation in south central Montana, this park was the home of Plenty Coups, last chief of the Crow,. Plenty Coups’ log home and store remain as evidence of the chief’s efforts to lead his people in adopting the lifestyle of the white man. North Carolina Historic Sites – Preserving the Past for All People – North Carolina Historic Sites, a program of 23 state historic sites, invites you to see our state as it was—to open doors of the past. Whether you are a resident of North Carolina, or just planning a visit, we have sites of interest to people of all ages. Cades Cove – Prior to 1819, Cades Cove was part of the Cherokee Nation. The Cherokee called the cove Tsiyahi, “place of the river otter.” In addition to river otters, elk and eastern bison lived in the Cove. Spiro Mounds Archaeological Park – Spiro Mounds, Oklahoma’s only archaeological park, is a 140-acre site encompassing 12 southern mounds which contain evidence of an Indian culture that occupied the site from 850 A.D. to 1450 A.D. The Mounds are considered one of the four most important prehistoric Indian sites east of the Rocky Mountains. Great Serpent Mound and associated ancient sites in Ohio and the eastern United States. Learn of their sacred geometry, system of measure, astronomical alignments, ley lines, and the prehistoric spiritual wisdom that they demonstrate. Ohio’s East Fork or “Hanukkiah” Earthworks – The ancient Ohio earthworks depicted above once lay along waters of the East Fork of the Little Miami River, about 20 miles above its mouth near Milford, and about 25-30 miles east of Cincinnati. The base and left side walls were each 2000 feet long. They have long since been plowed level, and their orientation and exact location are unknown. individuals knew of the mound’s exact location. TDEC: Tennessee State Parks: Historic Parks – Tennessee State Parks Historic Parks From prehistoric Woodland Indians almost 2,000 years ago at Old Stone Fort and Pinson Mounds; to one of the earliest British fortifications on the western frontier at Fort Loudoun; to the establishment of the first permanent American settlement outside the original 13 colonies at Sycamore Shoals; to Civil War battle sites at Fort Pillow and Johnsonville. Pinson Mounds State Archaeological Area – The Pinson Mounds site consists of at least 12 mounds, an earthen geometric enclosure, and habitation areas, that cover approximately 400 acres. This site was built during what archaeologists term the Middle Woodland period, which ranges from about 200 BC to 500 AD. Pinson Mounds State Park – Woodland Period Indians 2000 years ago. The site consists of at least 13 prehistoric Indian mounds, a large geometric embankment, and associated habitation areas. These and other mounds throughout North America were constructed by the ancestors of modern American Indians. developing their own unique culture. Nile of the New World – Lower Mississippi Valley – Broadly defined, the Delta region spans the entire lower portion of the river beginning in southern Illinois, covering portions of Missouri, Kentucky, and Tennessee, and including all of Arkansas, Mississippi, and Louisiana. began establishing communities with large, elaborate earthen architecture. Caddoan Mounds State Historic Site ~ Alto Texas – Caddoan Mounds State Historic Site, a 93.8-acre park in Cherokee County west of Nacogdoches, was acquired in February, 1975 from Walter E. Gundermann, Jr. Development of facilities was completed and the park opened to the public in June 1982. It was the home of Mound Builders of Caddoan origin who lived in the region for 500 years beginning about A.D. 800. The Adena Mounds – Grave Creek Mound State Park, Moundsville, West Virginia – About 1000 B.C. we can mark the beginning of a new period for man in North America. This period, which lasted until about 700 A.D., is called the Woodland Period. It is during this time that a new culture emerged and made significant settlements in what is now known as West Virginia. Portal Wisonsin – While mounds can be found throughout North America, Wisconsin claims the largest concentration—once numbering between 15,000-20,000, based on cataloguing efforts that date back to the 19th century. In the Madison area alone, well over 1,000 existed. Near Wisconsin Dells on Highway 16, Toth leads an effort to restore the Kingsley Bend mound group. Tribal Burial Mounds Returned To Ho Chunk Nation – Some Mounds Date Back 1,400 Years. Make the Journey – Selected Mound Sites Open to the Public – Source: Indian Mounds of Wisconsin by Robert A. Birmingham and Leslie E. Eisenberg. Madison: University of Wisconsin Press, 2000. Devils Tower National Monument – Devils Tower, Wyoming – President Theodore Roosevelt established Devils Tower National Monument on September 24, 1906. The spectacular rock formation known as Devils Tower and the surrounding countryside, home to a myriad of plant and animal life, attract visitors from around the world. electronically explore one of the best park systems in the world. You can plan your next outdoors vacation, take virtual park tours, study a map of Algonquin canoe routes and much more. Archaeology – An Official Publication of the Archaeological Institute of America. captivating articles and spectacular photography. 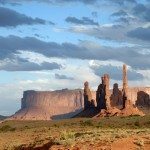 National NAGPRA – National NAGPRA assists the Secretary of the Interior with some of the Secretary’s responsibilities under the Native American Graves Protection and Repatriation Act, and focuses on NAGPRA implementation outside of the National Park System. National NAGPRA is a program of the National Park Service’s National Center for Cultural Resources. National NAGPRA Database – Documents related to the Native American Graves Protection and Repatriation Act are organized in the five categories. The dates following a document indicates its publication date. The date following a directory (shown in capital letters) indicates when the last item in the list was last updated. Two directories under the Notice category contain numerous documents. A search engine is now available in each Notice directory to facilitate finding a document by specific tribe, museum, or other keyword. Native American Consultation Database – NACD is a tool for identifying consultation contacts for each Indian tribe, Alaska Native corporation, and Native Hawaiian organization. The database is not a comprehensive source of information, but it does provide a starting point for the consultation process by identifying tribal leaders and NAGPRA contacts. Indian Burial And Sacred Grounds Watch – The Indian Burial and Sacred Grounds Watch web site exists as a tool for purveying and disseminating news on relevant issues which may appear on the internet and email lists. Its purpose is not to duplicate the efforts of others but hopefully to assist in the directing of individuals to items of interest. Get involved, subscribe to the Indian Burial Grounds Action Group e-mail list dedicated to issues relevant to Indian Burial Grounds and their Protection. For more information contact, Juli Kearns. American Indian Ritual Object Repatriation Foundation – An Intercultural Partnership – We are a non-federally funded intercultural partnership committed to assisting in the return of sacred ceremonial material to the appropriate American Indian Nation, clan, or family, and to educating the public about the importance of repatriation.